Commemorative badge; a plain, black and white badge printed with: 'Catlins Centenary Y.F.C. 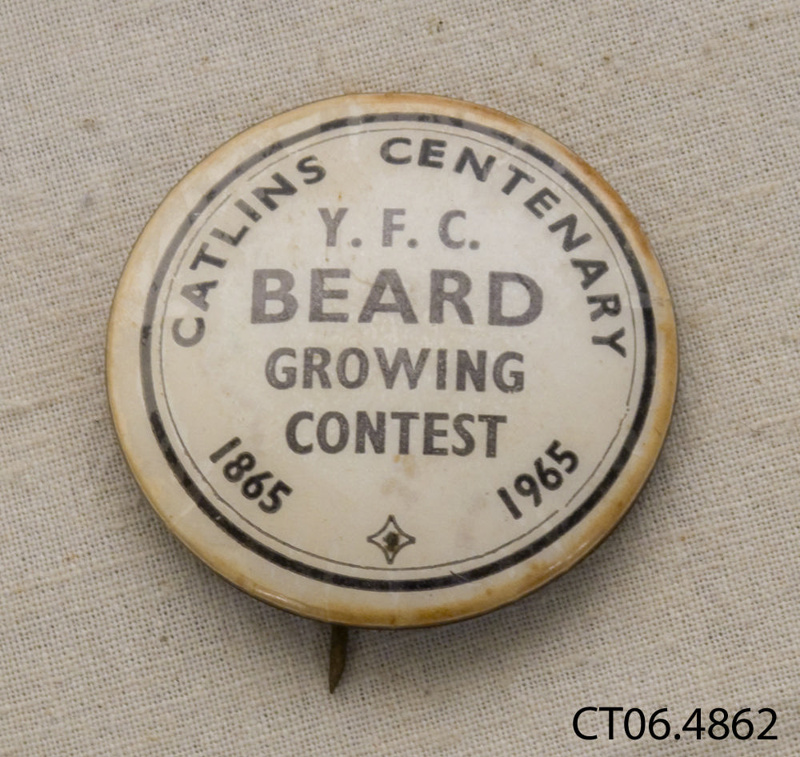 Beard Growing Contest 1865-1965'. processed material, metal; processed material, paper. Printed: 'CATLINS CENTENARY / Y.F.C. / BEARD / GROWING / CONTEST / 1865 1965'.